“The energy field that surrounds you is the central part of your soul (to use a very basic word). And while some of this energy exists on the physical plane, the greater portion of this energy exists on a nonphysical level. The healing of the body is as much a nonphysical endeavor as it is a physical one. Let’s examine the healing of the body from a nonphysical perspective. It is here you can thwart and correct many physical discomforts and illnesses that you have or may get. Furthermore, understanding the link between the nonphysical ‘you’ and the physical ‘you’ will help you to maintain a much healthier condition! “A good way to prevent or minimize illness is to incorporate energy routines in your daily activity to keep your nonphysical body flowing with positive energy. Yoga, Tai Chi, physical exercise, energy stretches and meditation are all good examples of ways to keep your nonphysical body clear of negative energy and charged with positive energy. “A total healing approaches healing from both sides of reality creation: physical and nonphysical. The physical side of healing, as you know, involves traditional or alternative medical treatment. I would recommend that you continue with these traditional routines, as you implement the healing techniques presented here. You can’t just ditch your current belief system in the traditional side of healing, nor is it prudent for you to expect 100 percent effectiveness from energy healings alone. In time with these healing routines, you will have tremendous success and you may then want to ease some of your dependency on traditional or alternative medicine. “The first and certainly the most powerful method of self-healing, is consciousness directed properly toward that condition. Positive thoughts of health and healing, and thoughts of an optimistic future can change even the direst conditions very quickly. However, the trick with positive thoughts is a completely uninhibited …belief system. A belief system containing uncertainty will certainly diminish the effectiveness of this approach. Nonetheless this approach is a good way to start even before you begin any energywork in the body. So let’s begin every healing by firing off thoughts of good health and what you will do with that good health. Keep feeding yourself these thoughts every few hours or several times a day until the condition is completely gone. Think of these positive healing thoughts like taking medicine. You have to keep taking that medicine regularly until the condition is gone. “With polarity healing you can use any part of your body that has a well working counterpart: eyes, hands, bones, muscle, etc. However, sometimes you may have to heal a part of your body that does not have a well working counterpart. For these times you can try the pinpoint healing method. With a pinpoint healing you mentally move energy to the area you need to heal. For example, if you have a sore throat, you can send a pinpoint stream of energy to that area to increase the energy flow there. To use this method, focus intently on the area that is bothering you. Narrow the focus of your attention to as small an area of the afflicted spot as possible. Try to find the exact, infinitesimally minute, place where the cause may lie. When you have this place clearly in your mind, move your energy around as if it was laser beam slide gently pushing or feeling the energy flow from your heart chakra. This gentle push will send heart energy out into that area of the body. Continue this process for several minutes. It is quite normal to feel an increase in pain in the affected area when doing a pinpoint healing. In fact, when you do feel the pain increase slightly you know you have pinpointed the exact spot that needs the healing energy. This increase in pain will be very short lived and when the pain ceases you have sent enough healing energy into that area to completely dissipate the bad energy that is there. With a pinpoint healing, the good energy goes in and accelerates the condition in a matter of seconds, thrusting out the bad energy so healing can occur. “Remove that negative energy with a sweep of your hand! Yes! This method is truly wonderful and easy to use. I recommend, however, you use this method along with one of the other techniques for real effectiveness. Just take your hand and rake or scoop the area where the illness resides, like you were catching sonic kind of mist in your hand. Then let this energy drift into the air by releasing it from your hand and gently pushing it away from your body. As you let it go, ask the earth to rebalance and return this energy to the earth. Keep doing this scooping for several seconds to a minute or two or until you feel you have scooped enough energy out. Repeat the Energy Rake as much as you like but at least several times a day is most effective. “Another method of moving good energy into your body is the heart-core healing. Use this method when the whole body has to be healed, as in a flu or virus that affects many parts of the body at once. Start by taking deep easy breaths. After a few breaths and after you have a good rhythm, focus on an imaginary spot that sits 20 feet above your head. Take several deep breaths to feel this spot. Now focus on the imaginary spot that is 20 feet below your feet. Again take several breaths to feel this spot. Now connect these two spots in your imagination with a stream of energy going from top to bottom, through your body and especially going through your heart chakra. Hold this visualization for a moment. Next, on an in breath, feel the buildup of energy in your heart chakra. On the out breath, pass that energy out of your heart chakra in a kind of energy mist that encircles the entire body. Naturally, the heart-core healing method does not put as much energy in any one particular place, but it will circulate an increase in energy around you. Again, maintain this breathing action with the energy focus for several minutes. Try to do one to three of these a day till you are healed. “The Chi-Breath routine is good to remove built up negativity from your body. In fact I would suggest you use this method not only when you are ill, but regularly to maintain your health. “When all else fails or you need some really fast healing, you may want to call in the big energies, nothing can help a self-healing along like the OLAP. The OLAP (pronounced oh-el-aa-pay) are energy beings that you can invoke to come and repair or help heal your body. Invocation is an advanced Reality Creator topic, however this call is very safe and a good way to get introduced to this type of reality creating. Sit in a quiet place or lie down and begin to say silently the name oh-el-aa-pay. Say it over and over again. While you are repeating the name think about what you want to heal. If you want, you can use one of the other healing methods already described here while you do the invocation. This action will call (invoke) the OLAP healers to the etheric plane where they will begin to help you heal that part of your body. Keep the invocation healing going for as long as you feel necessary. Usually 10 to 30 minutes is sufficient, but sometimes it can go longer or shorter. Keep repeating the invocation word as you see the need during the healing. – All illness begins on nonphysical level. It is only after the nonphysical level sustains long-term damage does the illness show up physically. – Once an illness manifests physically, a complete healing involving the physical and nonphysical side is necessary for the condition to be gone and not return. – Correcting energy flow on the nonphysical level will speed up a physical healing and prevent a relapse. – Positive thoughts and your imagination can be powerful allies in your wellness process. 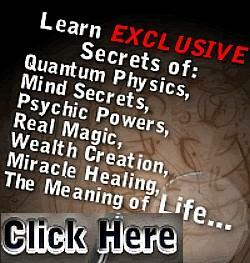 – Use the energy healing methods that you feel most comfortable with. It is not necessary to use them all. – Give yourself time to heal. A long-term illness will take longer to heal than one you have only had for a short time. 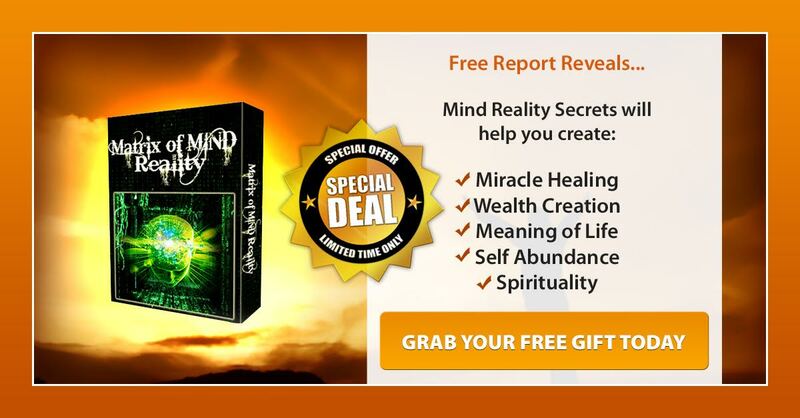 – Your healing belief system usually changes slowly, so don’t completely give up on your old healing belief system. Try to use both the old and the new until you feel confident with the new system. Then you can slowly replace your old healing methods with your new ones. – As with any illness always consult your physician if it persists or is serious. While these techniques can be used on serious illnesses, they are best used in conjunction with your present healing infrastructure.